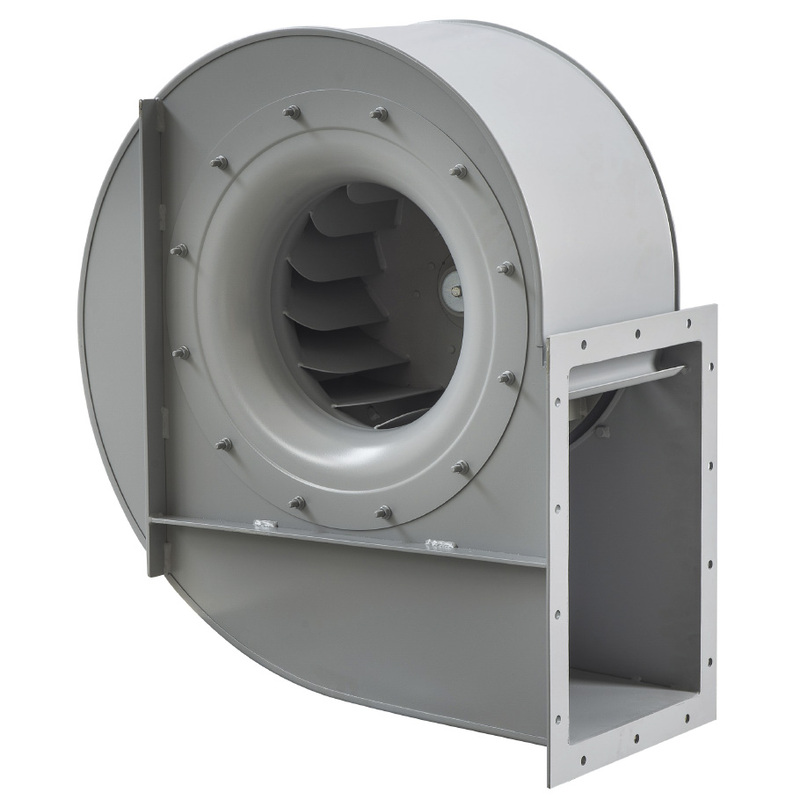 In our catalogue you will find a wide range of fans for industrial applications, including backward curved centrifugal fans with blade impeller. In our range of centrifugal fans with backward curved impeller blades you will find a wide range of products for direct drive or transmission drive. Get to know the whole range of centrifugal fans with backward curved blade impellers that we put at your disposal and choose the series that best adapts to the needs of your project. The ART N series of centrifugal fans with direct coupling and simple suction are made of steel plate protected against corrosion by cataphoresis + epoxy paint treatment. On request, these fans can be manufactured in different building materials or painted in different RAL colours. The fans of the FR-N-TR series are made of steel plate protected against corrosion by cataphoresis treatment + epoxy paint. These fans have the possibility of different mounting systems, and it is also possible to configure them with different types of motors and poles. Centrifugal fans with pulley drive and simple suction belts are made of steel plate protected against corrosion by cataphoresis and epoxy paint treatment. 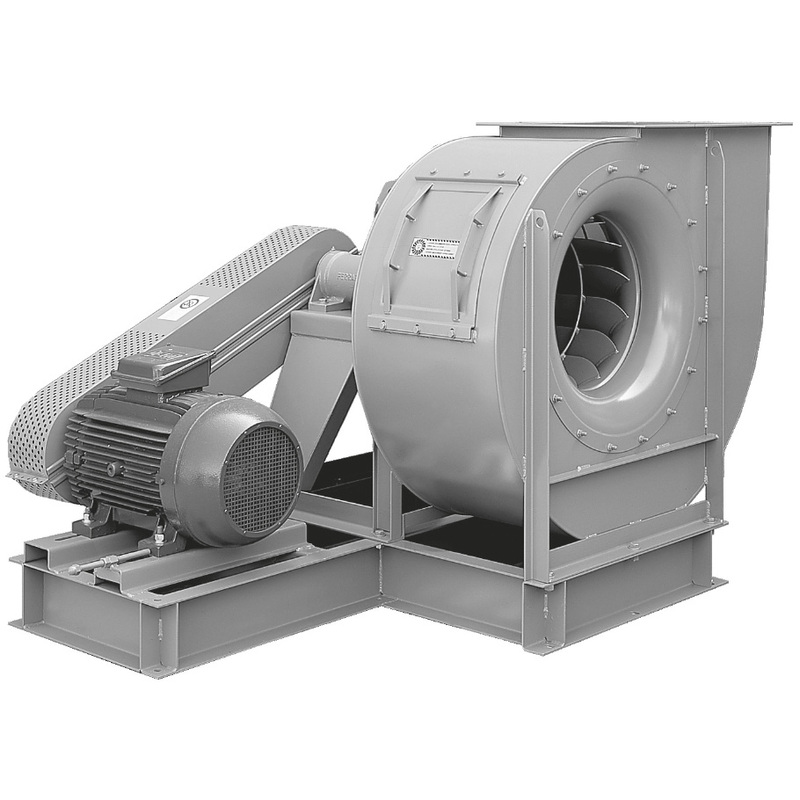 On request, this product can be manufactured in different materials and even in high temperature versions, up to 300ºC or in versions B, with cooling impeller. Centrifugal fan with direct coupling and simple suction. These fans are made of steel plate protected against corrosion by polyester paint. The fans of the FRC range have a backward curved blade impeller with a cold galvanized finish or in steel plate protected against corrosion by polyester paint, dynamically balanced. Upon request, this range can be manufactured with inspection door, drain vent, different types of volute sealing and shaft pitch.